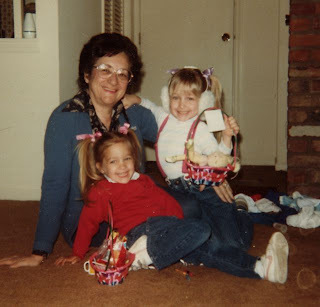 Nothing says Easter Sunday like Easter baskets for and your little sister from your Jewish Grandma. Happy Easter!! Are you wearing earmuffs in that picture?? Love. Although what is that pose I'm doing? Yes I'm wearing ear muffs, although why I have no idea. Alie we were born posers, you know this. Tyra has nothing on us!